Wounds that Bind: Exhibition Review - Group show:'The Big Blue' Ordovas, London till Dec 12th 2015. 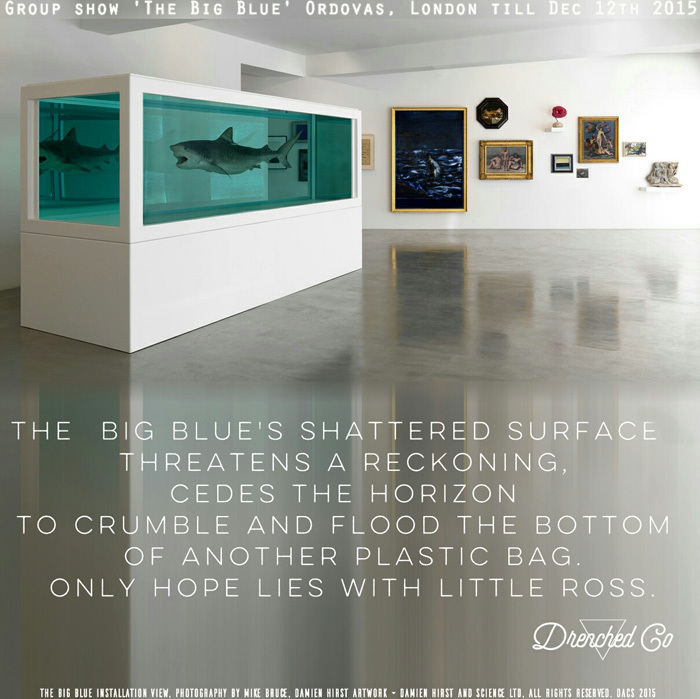 Exhibition Review - Group show:'The Big Blue' Ordovas, London till Dec 12th 2015. Key: The swimmer in this little jigsaw painting is possibly the only guide to its reconstruction. Image Courtesy of the artists and Ordovas Gallery, London.